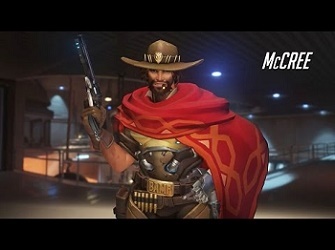 One of the most highly anticipated games of the year, Overwatch is a highly stylized team-based shooter set on a near-future earth. Every match is an intense multiplayer showdown pitting a diverse cast of heroes, mercenaries, scientists, adventurers, and oddities against each other in an epic, globe-spanning conflict. To coincide with this release, game publisher Blizzard Entertainment is issuing a series of digital comic shorts that further illuminate the characters and world of Overwatch. The first edition of the series, ‘Train Hopper’, follows a day in the life of gunslinging outlaw Jesse McCree, a former Blackwatch operative, who metes out his own brand of vigilante justice.